One of my favorite Boston suburban towns is Chestnut Hill and it’s almost entirely because of The Street and Chestnut Hill Square. 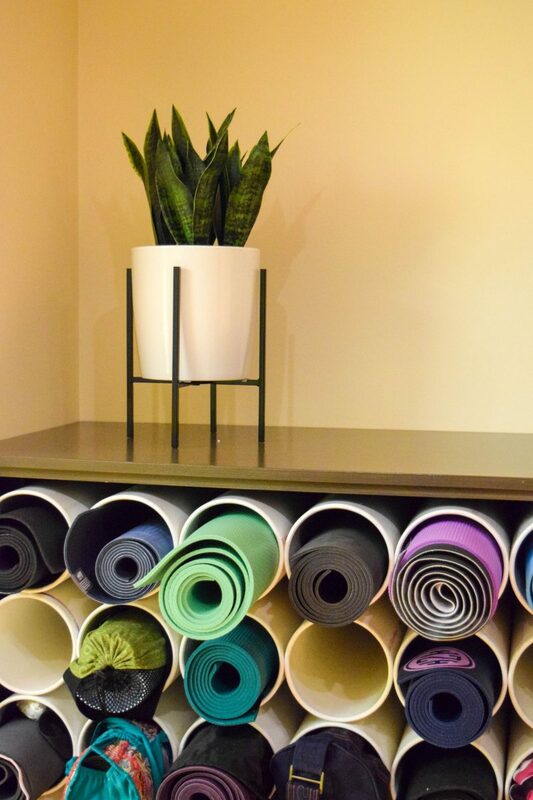 Well , it just got even better thanks to the recent addition of YogaWorks at The Street! 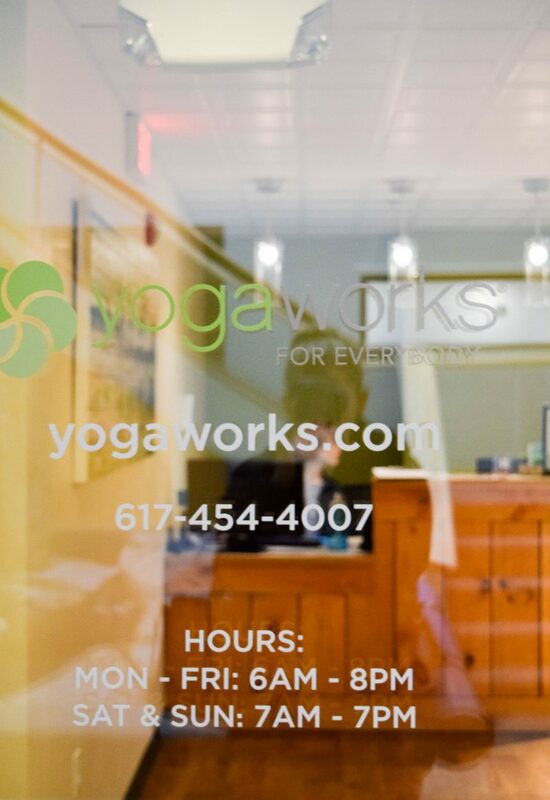 Having previously visited YogaWorks in Back Bay, I was really excited to hear of the opening at The Street. The space is beautiful with two spacious studios and a gorgeous lounge area. 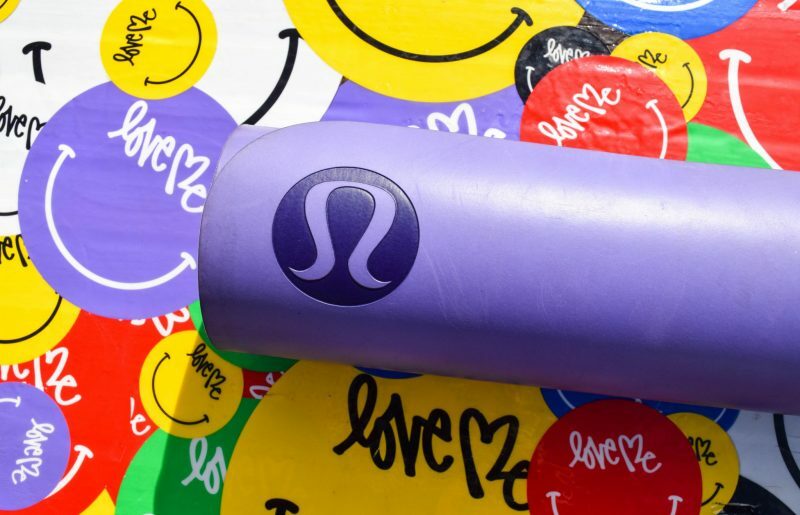 I thought the PVC tubing as yoga mat holders was too cute- couldn’t resist taking a photo of it! 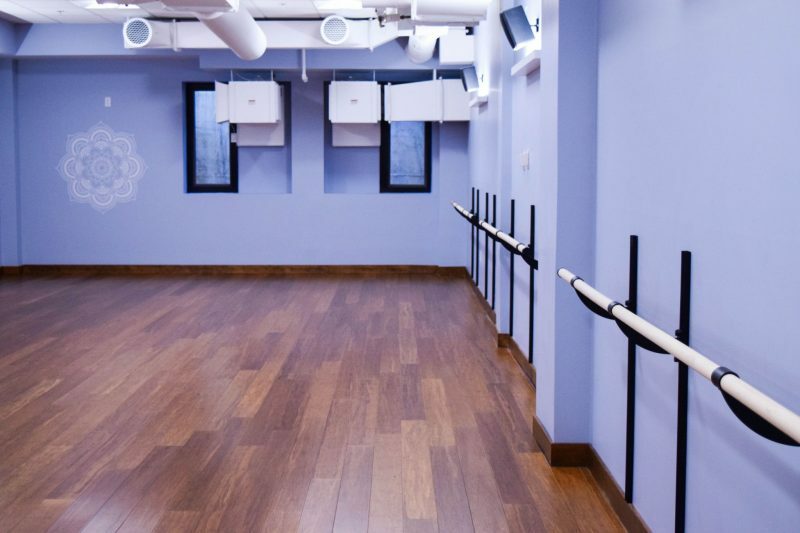 I’ve taken a few classes over the past few weeks and the studio is well worth the visit. The Hip Hop Yoga classes are my absolute favorite- who doesn’t want to get their downward dog on while listening to some bumping music?! I also love their classic Vinyasa flow classes. One of my favorites was the one I took with Adena – she started off the class stating that she typically has a more athletic yoga practice which I loved and I guess love/hated the amazing core work she did too. After my classes at YogaWorks Chestnut Hill, I left feeling strong, relaxed and accomplished! 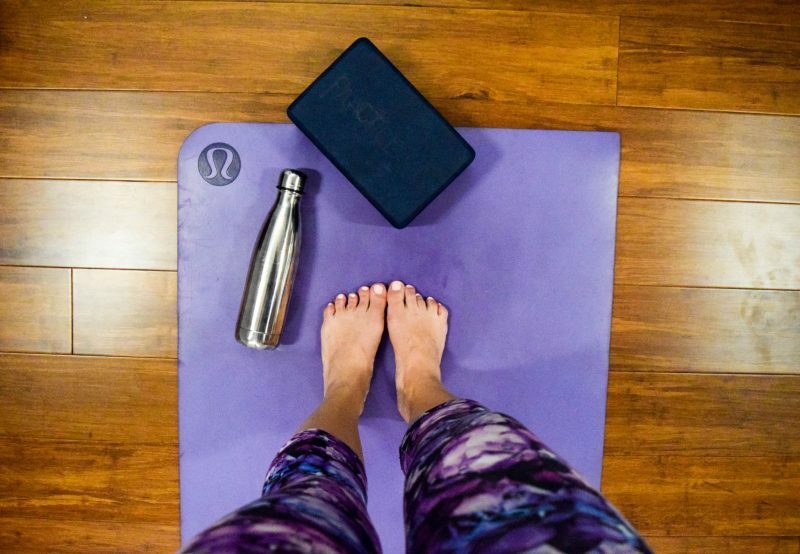 If you are interested in trying YogaWorks for yourself at Chestnut Hill or one of their other national locations (full list here! ), you can get two weeks of unlimited classes for $25. Talk about an amazing deal for amazing classes! Oh, and if you want to recreate my perfect Saturday start your day with a class, follow it with an acai bowl at JuicePress a few doors down and then get your shop on at Lululemon and Intermix! FYI: YogaWorks Chestnut Hill provided me with complimentary classes. As always, all opinions and images are my own. Next Post Our Wedding is on The Hitch List! Um I LOVE hip hop and a yoga version sounds right up my alley! 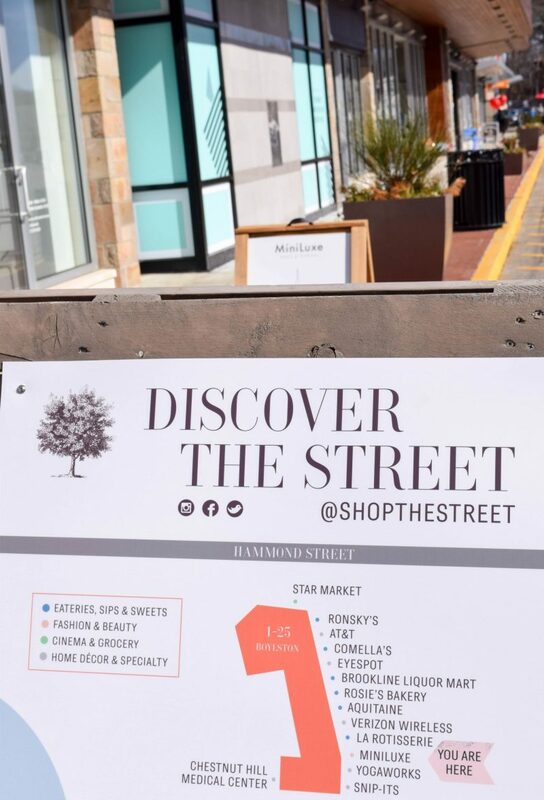 The Street is a fantastic spot in general for sure. Oh my gosh, you’d love it! One of my fave classes ever! this place is so colorful! i love that area. maybe i’ll check it out sometime! You so should! It’s a lot of fun! that tubing is such a great DIY even for the home.